Note: Todays workout will be “weighted” by three categories, Beginner, Intermediate and Advanced. Beginner load will be 75lb. / 55lb. for all three movements, Intermediate will be 95lb. / 65lb. for all three movements, and Advanced will be 155lb. / 85lb. for all three movements. Athletes may choose their category with guidance from Coaches. Focus on technique, mastery and virtuosity! Congratulations to Ken, pictured with wife and former Athlete Of The Week Ame, on being recognized as Athlete Of The Week at CrossFit Amundson. From the moment Ken walked in the door of our gym, his speed, power, commitment, discipline and capacity have been an inspiration to all who know him. Ken routinely sets gym records, and recently took First Place in the Masters Series Throwdown Competition. Ken also helped lead his Affiliate Cup Team to a Third Place Victory. 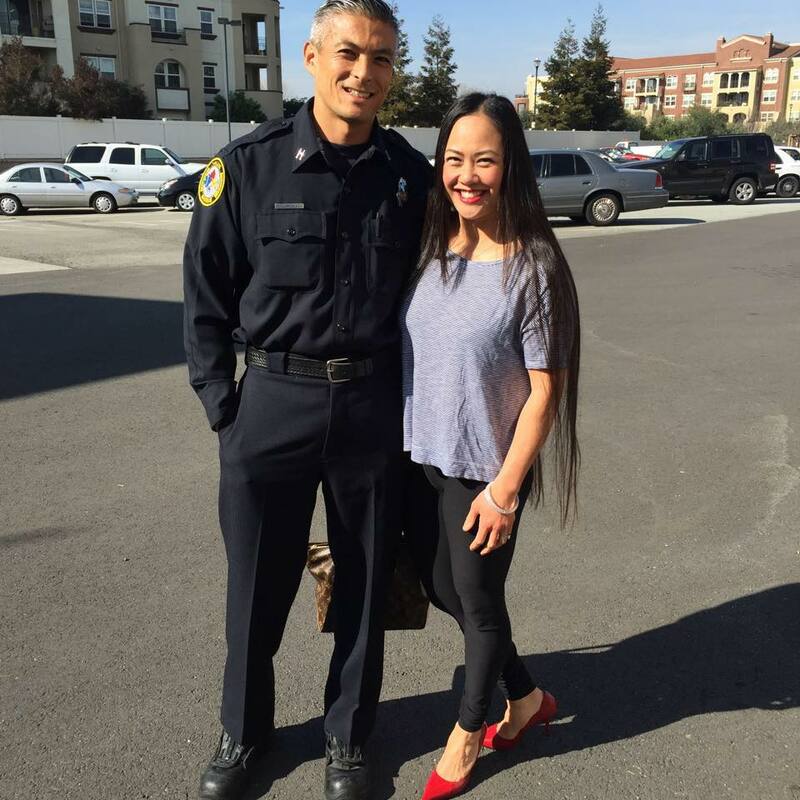 When Ken is not training his heart at the gym, he serves as a Firefighter for Milpitas Fire Department. Thank you Ken for being such an inspiration to everyone who knows you, and for serving and protecting our community.